Washington St, Somerville. This free event will run from 6:30-9:30pm. Shoppers are sure to find holiday gifts as they browse a variety of handmade goods – ranging from one-of-a-kind jewelry, homemade ornaments, scarves, handmade candies, soaps and more. Visitors can also try their luck with a raffle ticket for a chance to win handmade wares or services from the local community. Pizza and drinks will also be available for purchase. The Argenziano Craft Fair is no ordinary event; it is one for children as much as shoppers. Be sure to visit our free Crafts and Cocoa tables where you can meet old friends and make some new ones, while children of all ages build their own cards and crafts. 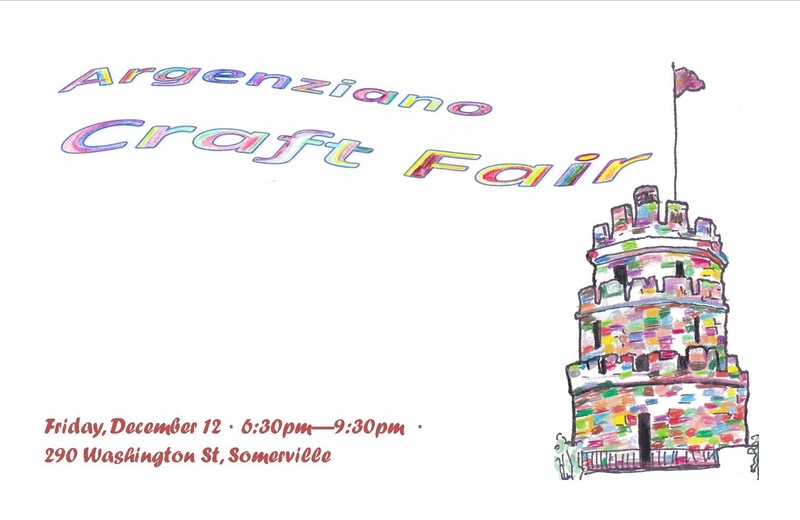 Monies raised from the Craft Fair will help the Argenziano PTA support our students, families and staff to organize school-wide events and provide funding for field trips, enrichment, and supplies not covered by the school budget.